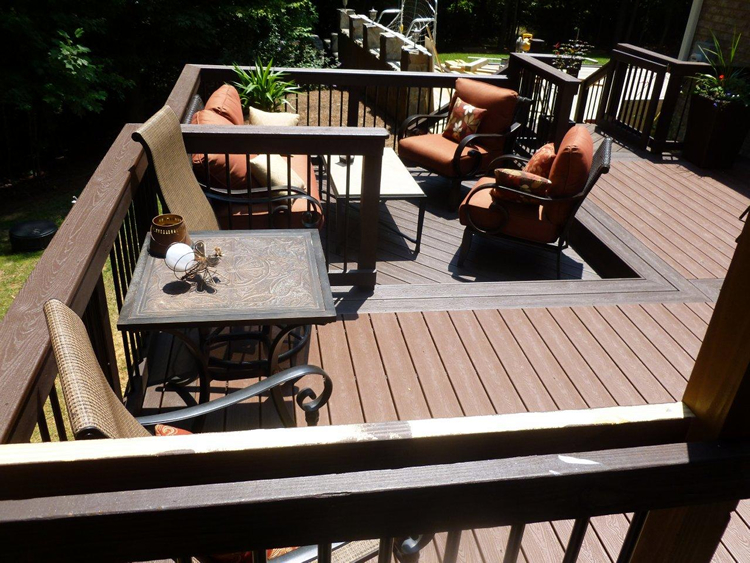 Plan your Charlotte Trex deck now for use at the first sign of warm weather. As your choice Charlotte deck builder, Archadeck of Charlotte is ready to work with you to design your one-of-a-kind outdoor living space, with the beauty, strength, and longevity offered by Trex composite decks. Not quite a month into the winter season, you might not be thinking about designing and building your new Charlotte deck. 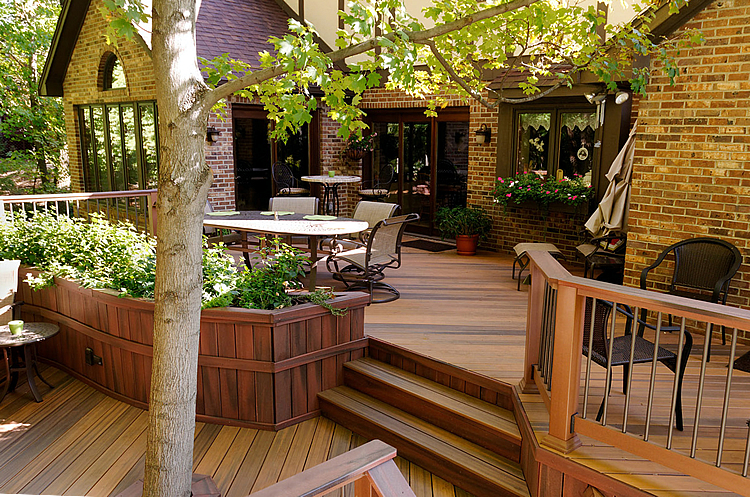 At Archadeck of Charlotte, we know that now is the ideal time to be planning your new deck. Most folks think of calling on us to design their new outdoor living space in the springtime, but we are here now, ready to help you realize your dream Trex deck. Be ready to use your deck at the first sign of warm weather. We want to be your first-choice Charlotte deck builder! What does Archadeck of Charlotte offer as your preferred deck builder? We offer more than 30 years’ experience in designing and building Charlotte outdoor living spaces, customized design options, extensive knowledge of Trex decking products, and quality construction that will last for many years to come. The benefits of Trex decks are not only in that they are low-maintenance, but in their beauty and limitless customization options. 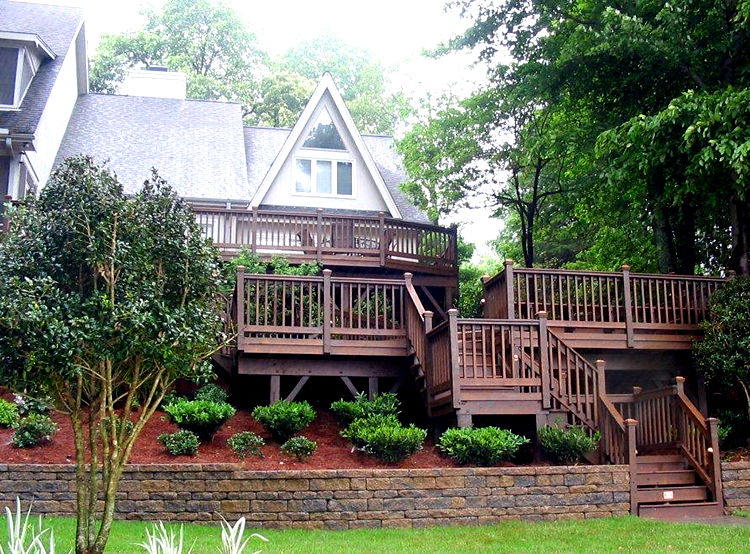 If you are looking for a Trex deck, unlike all others, call on Archadeck of Charlotte to build your one-of-a-kind deck! Take a look at this stunning multi-level Trex deck design with custom-built Trex planter boxes in complementary wood grain colors and a coordinating low-maintenance railing in Myers Park! Lear more about Trex Transcends natural wood grain lineup from Eric Kent! Wondering if you can have your deck built in the winter months? Though the Charlotte area has four distinct seasons, our winter months are mild enough to continue building. Inclement weather days might halt our deck building projects intermittently in the Charlotte area, but we do continue building in the winter months. This means that we could design and build your deck before springtime! Many mistakenly put off planning their new outdoor living project before the temperatures get warm. If you wait till spring to plan your new Charlotte deck, you will miss weeks or months of outdoor living opportunities once warm weather is here. Don’t be left inside this spring, or in an outdoor living space that is not fulfilling your needs. 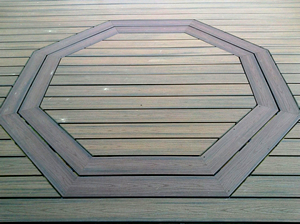 Call us now to design your custom Trex deck, and begin entertaining at the first sign of warm weather! Who is the choice Charlotte deck builder near me? If you live in the Charlotte area, Archadeck of Charlotte is the preferred deck builder near you! Trex supports their quality deck products with a 25 year Limited Residential Fade & Stain Warranty. 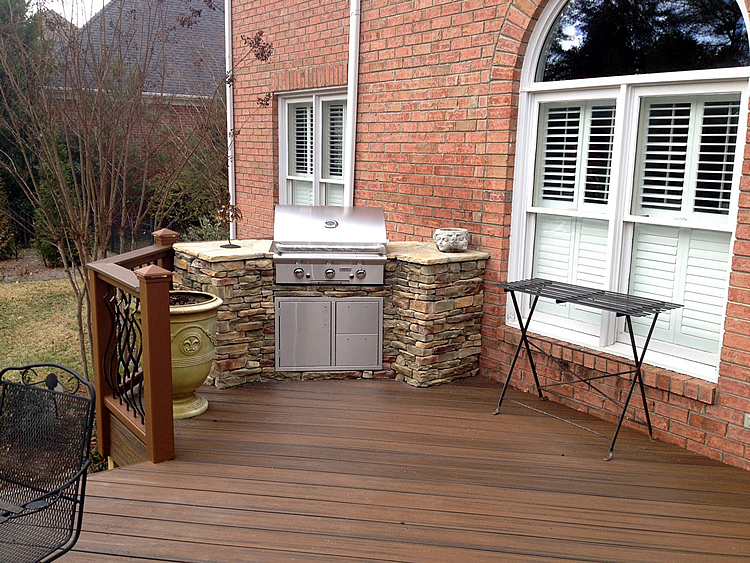 Archadeck of Charlotte is ready to talk with you about your outdoor living requirements. We are ready to discuss your deck usage needs. We are ready to add truly custom elements, such as outdoor kitchens, stacked stone fire pits, bars, and even deck lighting for use after dark. Contact us today to begin your journey to the ideal Trex composite deck design for your home and lifestyle. If you are ready to talk about your ideal Charlotte Trex deck for early spring entertaining and private relaxation, give us a call for a free design consultation at (704) 944-1350 or email us and a Design Consultant will contact you promptly.